Imagine having everything you've ever wanted. All the wealth, fine clothes, nice house, good food - everything you've ever thought of having. And your job or place in life is exactly as you ever dreamed of - you are being just what you always wanted to be. The way you can get this can be as simple as considering any problem you want to solve just before sleeping and then waking with the solution in mind. Yes, that simply. James Breckenridge Jones solved the problem of making millionaires by studying the books in this collection, along with Napoleon Hill, Robert Collier, Thomas Troward and others. He boiled these down into a simple "Count to Four Formula" and wrote it down into a bestselling books which went into five editions and multiple printings. It is presented so that this wisdom doesn't again wall into the way of the famous "dusty tomes" which make the riches of the world available to any who read and apply what they contain -- if they can be discovered again. The Miracles of Your Mind - Joseph Murphy. Your life is up to you. You are what you think about. There are no limits - you can be whatever you want to be. You can have whatever you want to have. This book, as well as "If You Can Count to Four..." can take you in that direction and give you anything you've ever wanted. But you have to read and apply. 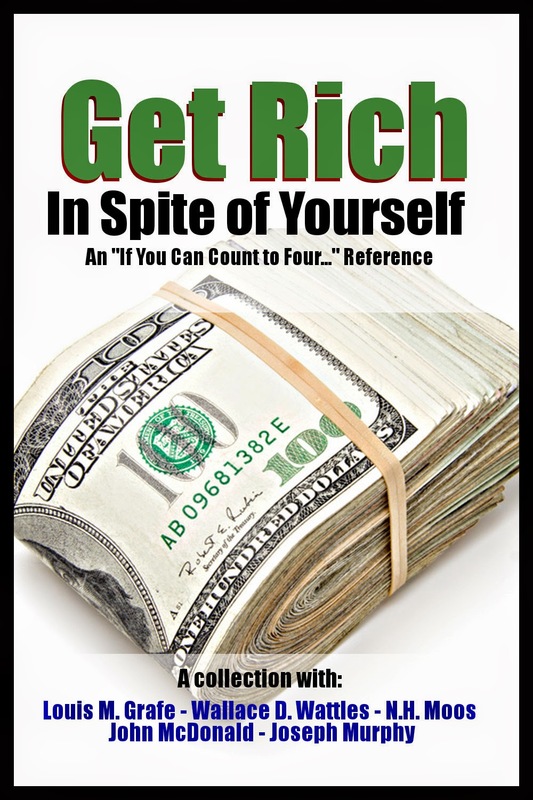 Get Rich In Spite of Yourself, first published 1945 - Louis M. Grafe, (d. 1962) No record of copyright renewal found. How to Acquire Millions, first published 1954 - N. H. Moos (d. 1956) No record of copyright renewal found. The Message of a Master, first published 1929 - John McDonald (d. 1998) No record of copyright renewal found. The Miracles of Your Mind, first published 1953 - Joseph Murphy (d. 1981) No record of copyright renewal found.